This place is great! The staff is super friendly and seems to really care about their customers. The inside of the restaurant is set up with old school upbeat happy music playing in the background. It feels like your at a baseball game. The main attraction though has got to be the food. If you love Cheese steaks then definitely stop by this place. Easily one of the best cheesesteaks out there. The Hoggie bun was stuffed packed and the cheese was melted all over the steak to perfection. Not to mention they have a ton of free toppings to choose from, including a delicious house sauce named after the restaurant “Big Mills Sauce” i think it is. It’s their take on spicy mustard and compliments the Cheese steak perfectly. The Fries were also delicious, made on the spot and seasoned there. To top off this great experience, their extra large brownies made for a great snack and was big enough to split with my girlfriend who is in fact…a brownie fiend. 100% will be coming back! Venue was clean. Service fantastic. Had an original cheesesteak combo with provolone, onion, peppers, and mushrooms regular size. The sandwich was ~10 inches long and packed with mainly meat which was juicy and favorable. The side of thick cut fries made to order so everything was piping hot. Will definitely go again. I have only been twice, but I have left satisfied both times. I also got to meet the owner during my most recent visit. You could tell he cared about his customers and watching him interact with his regulars was refreshing. I will be back when I am on this side of town during lunchtime! Extremely good food and the service was amazing! The Big Mills Special Sauce is a great addition! The guy at the front counter as funny and upbeat! They made sure we liked everything and asked if we needed anything. Will definitely be coming back!! Food was very good. Large portions. Plenty to choose from. Very yummy. First time visit today. Place is clean and very nice. Excellent variety. Friendly staff. Quick service. I didn't have any problems with my food, but it's too expensive for me to consider having lunch their even on occasion. I'd say it is more of a special occasion deal. Junior and the crew gave outstanding service and great food. Never seen a cleaner restaurant. The baseball decor was fun too. Amazing cheesesteaks. No extra charge for toppings. And it looks like their sausages and hot dogs are just as good. Yum! No watching calories here lol. Casual atmosphere. Sandwiches and service are always top notch. Really enjoy the place. Definitely worth stopping in. Great atmosphere. The staff is very friendly. 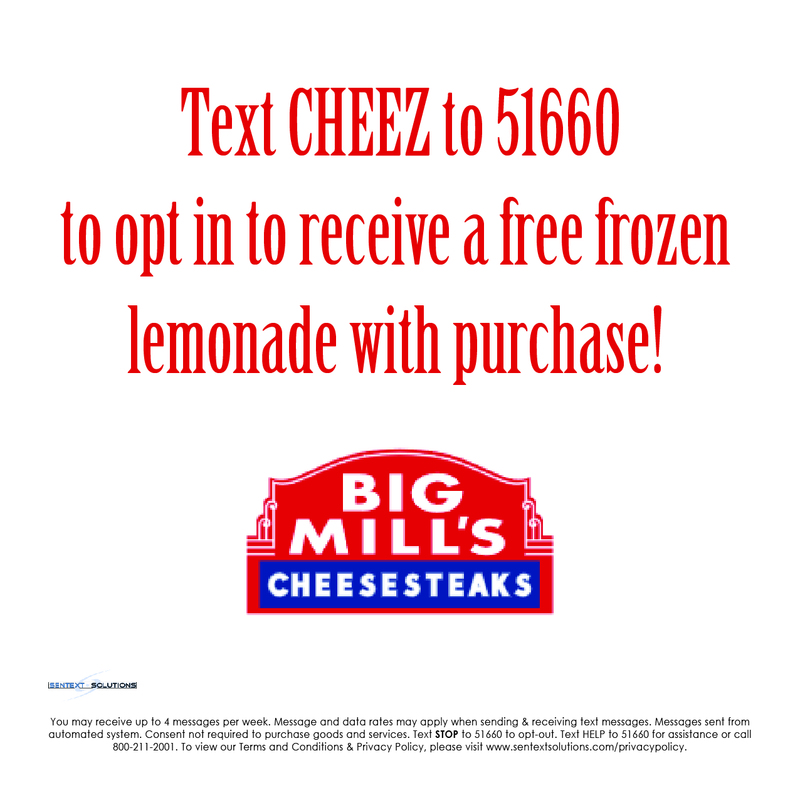 If you are looking for a good philly sandwich I would recommend Big Mill's cheesesteaks. The staff and the owner are always so nice and welcoming. The food is always amazing, hot and fresh. They do everything they can to make sure you are completely satisfied. And it's baseball stuff everywhere, who doesn't love that?! It's not your ordinary burger hot dog or philly place, the flavor is out of this world, they really love what they do and it shows. Absolutely amazing cheesesteaks. I can't recommend them highly enough. This place is legit AF!! They use Amoroso bread for their Philly Cheese steak. If you don't know what that is, look it up. They also offer cheese whiz as one of their cheeses. Steaks are seasoned perfectly and offer a generous portion. If you haven't eaten here yet, do not hesitate the food is great. Big mills has been on our radar for some time now. Monday we finally tried it, and we’re not disappointed. I won’t go into great detail but the food was exactly what I expected, delicious. We got 1 classic philly, 1 Chicago and a fry. All were cooked to order and fresh, steak was not that cheap food service philly meat, it was real chopped steak. The service was also great, super friendly and welcoming. Go if you have not. Support these places, we need more like them in Gainesville. One of my favorite places to eat in Gainesville! I get a classic philly with cheese whiz and it is made with SUCH quality meat and super fresh peppers. The biggest thing for me though is the outstanding customer service. I’ve gotten to meet one of the main cooks in the back quite a few times as well and he is so genuinely sweet! Can’t recommend it enough, this is the place to go. As a Gainesville local, I would have to rate this as my favorite place to eat in Gainesville because it accomplishes everything an eating establishment should from great food to outstanding service. Recommended. Great food, awesome staff. When you first look at the menu you may be concerned with the prices, but in my opinion it is well worth every penny. The phillys are huge and the fries were awesome. The manager was bringing the food to the tables and sharing a few words with each guest, he even brought my son a free box of cracker jacks. This restaurant is great! Great food, great customer service, great prices,& the manager is very personable! If you love the huge Italian or Polish sausages that you usually get from the fair come here(for that & MORE!). I'm so excited to see what this place turns into. Not only did they renovate the entire restaurant and created a great environment , they have an open kitchen too! The staff was very friendly. First visit on a crazy Saturday afternoon and they were so nice. The food was great! Can't go wrong with good service and good food. Wish I could tip on a credit card receipt. Welcome to Gainesville Big Mills!! A little pricey, but worth it! Fresh made sandwich with a big ol' kick! Had the Chicago style with mushrooms andonion rings. The regular was just the right size and the sauce for the onion rings was right on the money! I will definitely be back! I ordered a cheese steak sub and it was so delicious, it was so good that I ordered a second one to bring home, this sub was better than any other cheese steak around Gainesville. Thank you BIG MILLS, I will be back again! for the same sub again. YOU ROCK BIG MILLS. Great tender steak sandwich,,, Whiz was tasty as well,,, Special Sauce was ever so slightly spicy and blended well with both the steak and the Whiz. Overall it was delicious but slightly pricey at $ 11.18 with a coke.... but if you gotta have one,,,, this is the place. The owner if a fantastic guy. Really cares about his restaurant and the quality of food they provide. Amazing food. I highly recommend. Always good and always the same. I eat here pretty often and I always get exactly what I expect. The employees are friendly and the owner always engages in conversation. Very nice. Neat, clean with great menu. Staff and the chili cheese dog's were great. Will be back soon. Very friendly staff. Everyone of them said hello when they walked by. The food was delicious and reasonable priced. Great food!!! Hot, fresh and fast!! Had it for the first time today. It was Amazing! Best Philly I have had in 10 years at least. Keep up the good work! Good stuff! Try the original wit wiz and a frozen strawberry lemonade while you're there. Won't regret it. It's hard to get a good cheesesteak outside of Philly but Big Mill's does it right! Always fresh, always fast, and the staff is always friendly. I frequent this place and will continue for a long time. Always great cheesesteaks and super friendly staff. YES!!!!! SPECTACULAR PLACE! FIRST TIME HERE!!! MET THE OWNER, FOOD WAS GREAT!!! GO VERY HUNGRY!!! JUMP FOR JOY!!!! ITS DELISH!!! Great Food. Great customer service . They have a really good original burger I recommend it! This place is awesome. Fast service, very friendly staff, and awesome cheesesteaks.I highly recommend checking this place out. Wow. Great cheese steak. The Mills sauce is to die for. Didn't expect much from the fries, but they were crispy with a great seasoning that also went well with the sauce. My first time here and I'll be back. I tried the Philly steak and Spicy sweet sausage combo and it was DEEEELISH!! Very filling and tasty. The food tasted like the food from my high school cafeteria! Terrible fake frozen lemonade!!!! Really good cheese steaks, the sausage was decent too. My kids love to eat at Big Mills and the staff is very friendly. Small place with awesome decor inside. Very friendly service with fast and delicious food. A great twist on the regular ole cheese steak. A must try!!!! Just went to this restaurant for the first time today. The place is clean, comfortable, food was delicious and the staff was fabulous! Such a great experience! Great steak sandwiches. Philly Cheese steaks in Florida. He is from my hometown Claymont Delaware. What are the odds of him moving in with his business a block away. I am a happy camper. Was in here today. Great food and staff were so nice. We come every time we come to town. Never a bad experience. Always great. My wife and I went to Big Mill’s Cheesesteaks for dinner. Despite having different taste buds, we both agreed that our sandwiches were GREAT! I got the Chicago Style cheesesteak with Au Jus for dipping. My sandwich was filled with meat and veggies as well as enough cheese to give the overall taste of a cheesesteak sandwich. Sometimes restaurants make the Au Jus dip too salty but not in this case. It was just right. We love Polish sausage but it is always challenging to find good one around here. Big Mill’s sausage is delicious. Great flavor and taste! The staff greeted us with a smile when we walked in. I heard they are packed during the lunch hour but that will not stop me from coming back and satisfying my cheesesteak craving. I highly recommend Big Mill’s!